Here’s what solar 2.0 might look like. The past year has seen four major national solar brands surrender. Sungevity and SunEdison declared bankruptcy, NRG scaled back to focus exclusively on commercial and utility-scale solar, and SolarCity was brought under the Tesla umbrella. The retreat of these national players coincides with record growth and all-time highs across all sectors of the solar industry. Despite investor jitters and doomsday headlines, consumer demand for solar is increasing at an astonishing pace. The problem plaguing the market is not demand, but how demand is being met. Many articles have analyzed the cause of the current turmoil and what it means for the industry going forward. In a recent GTM article, Andrew Beebe pointed to a rapid commoditization of hardware and financing, as well as a proliferation of specialized productivity tools, to explain how local solar installers have steadily eaten up market share from the retreating national brands. The overhead-intensive, vertically integrated model has given way to more agile local providers who can deliver better service and better pricing. We at PowerScout have seen this trend developing firsthand throughout our partner network. 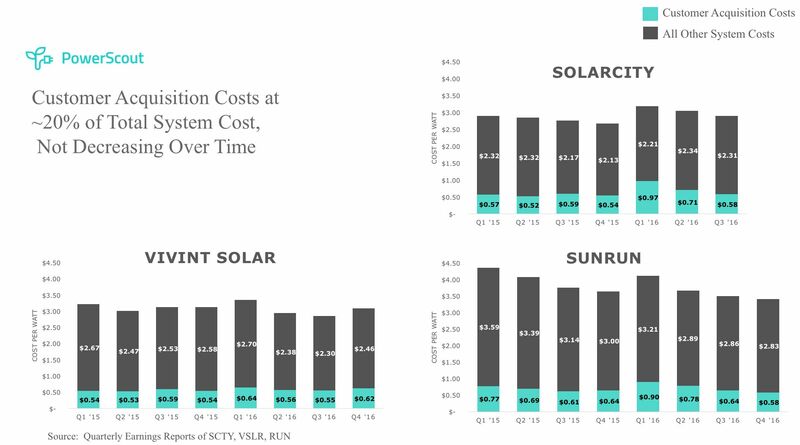 Beebe ends his post by pointing out one area of the solar cost structure that has not budged, even as the other components have seen 10x reductions in the past decade: customer acquisition costs. Sales and marketing now represent the largest cost category in a residential system. 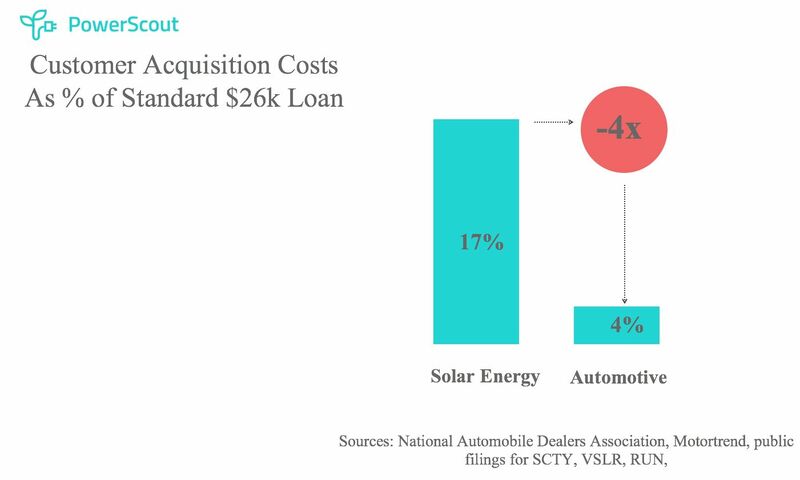 This pain point becomes even more obvious when you compare customer acquisition costs in solar to other more mature industries like auto sales. In solar, 17 percent of the system purchase price is used to cover the installer’s sales and marketing expenses, while only 4 percent of the purchase price of a car is used to cover sales and marketing. Residential solar customer acquisition costs are now twice as expensive as the actual solar panels, the most important component of the system. This is crazy. In 2016, the average fully loaded residential solar installation in the United States cost between $3.00 and $3.50 per watt. The average system in Europe, however, is being sold at or below $2.00 per watt. In order for the U.S. residential solar market to move from a niche market (~1 percent penetration) to mass market, customer acquisition costs must be reduced by an order of magnitude. Achieving this goal requires a fundamental shift in the way solar is sold. And herein lies the big challenge. While local installers can deliver high-quality solar installations, they are rarely marketing experts. There are obviously local and regional installers who have a superb ability to bring in new customers, but in a fragmented “long tail” market, there are many installers who simply don’t have the time or resources to invest in developing cutting-edge customer acquisition techniques. To fill this gap, local installers resorted to a cottage “marketing” industry leveraging lead generation techniques that are far from consumer-friendly. Installers buy a lead for $60 on average (prices vary significantly by geography and level of exclusivity) and then go through a laborious qualification process to target the most promising customers. An installer can spend $6,000 for 100 leads, but only 10 will actually qualify and be interested in hearing the installer’s pitch. Moreover, three will sign contracts, and only two will actually follow through with the installation. That means that on average, a solar installer is paying roughly $3,000 -- or $0.40 to 0.50 per watt -- on marketing for a single deal before factoring in sales commissions and the overhead required to manage that funnel. Even the installers that have established robust sales and marketing teams face an uphill climb. With the advent of social media and content marketing, the way consumers absorb information has fundamentally changed. Programmatic advertising allows marketers to target consumers with laser precision, serving the perfect ad to the perfect prospect at the perfect time and in the perfect place to drive conversion. Simply bidding on keywords, getting five-star Yelp reviews, canvassing, and sending generic direct mail isn’t enough to enable the drop in customer acquisition costs that will be required to scale. 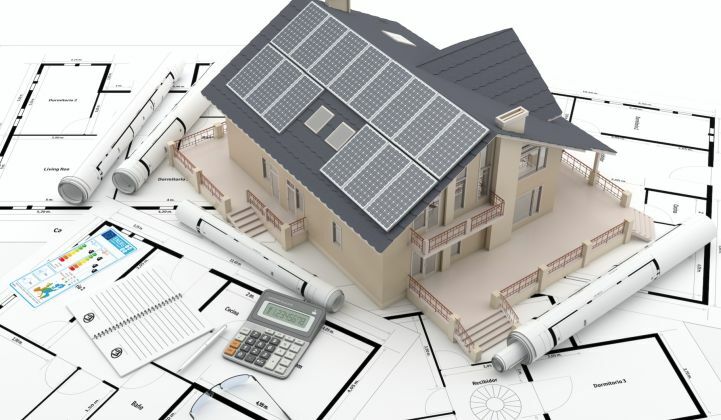 Also, while residential solar productivity software can help installers be more efficient when designing systems and managing the customer relationship, it does not help installers address the marketing challenge. The residential solar 2.0 model needs to put consumers front and center, using cutting-edge data-driven sales and marketing techniques combined with a seamless installation experience. It calls for a model with centralized marketing and distributed fulfillment. This model is already emerging in Europe, with trusted consumer brands like Ikea acting as the central hub for customer acquisition while a network of local installation partners provide fulfillment and project management services. In the United States, brands like Tesla are well positioned to deploy this model. Other household brands like Amazon and Home Depot can leverage their intimate understanding of consumers and established brand loyalty to acquire customers, and can then partner with the long tail of installers for fulfillment (e.g., Amazon Home Services). How is solar different from HVAC or roofing, where decentralized marketing seems to work just fine? First, solar panels don’t represent an obvious need. Consumers are accustomed to receiving electricity from their utility and, unless there’s a prolonged blackout, there’s no urgency to switch to solar. In contrast, a broken heating system or roof represents an immediate need to consumers. Second, the decision to purchase an HVAC system or a new roof is most often driven by a breakdown or leak that requires a quick fix. In these cases, consumers want to find the best contractor quickly. Third, solar energy has complexities that the other categories don’t have: unfamiliar technology, complicated policy and regulatory frameworks (e.g., net metering), the need for long-term financing, tax credits, and an arduous permitting process. For these reasons, solar has to be actively marketed to generate consumer demand, while demand in other categories is need-based and the product is well understood. A trusted brand could be immensely valuable to commercializing a product like residential solar. Name brands are built over decades from immense capital investments into product, marketing and customer experience. That is why it's extremely difficult to build a brand in a nascent industry like solar energy where, with a few exceptions (Tesla), nobody has the deep pockets to spend on brand-building. In addition to carrying credibility with consumers, an established household brand can leverage the latest marketing techniques and a cohesive user experience to seamlessly bridge the online and physical worlds. A mature brand understands how to inspire customers, and could portray solar as a stepping stone to a complete smart-home transformation. These brands will have an intimate, data-driven understanding of the consumer's home and lifestyle and can help optimize energy usage for comfort, savings and environmental footprint in a seamless way long after the initial sale. Today, the smart home is defined by myriad disparate gadgets, but tomorrow it will be an integrated AI-driven ecosystem of appliances, sensors, and massive amounts of data. Electrification of transportation and low-cost battery storage will further accelerate the need for energy optimization. Local installers play a key role in this ecosystem by continuing to operate a distributed fulfillment network that focuses on capital-efficient operations. The major optimization lever for local installers will be labor utilization rate -- in other words, the percentage of time crews are fully utilized on actual jobs. They will take advantage of technological innovations, such as AC solar panels, that can help to decrease the number of labor hours applied to a particular job. Who will be the dominant solar 2.0 brand? 2017 is the year of a massive makeover. The residential solar delivery model has to be drastically revamped. This is an opportune time for established household brands to make big bets on the U.S. residential solar industry and start putting together the pieces of the puzzle required to own the connected smart home beyond just gadgets, with solar as a centerpiece. This does not mean that vertical integration is required. However, ownership of the customer relationship beyond the initial sale will be key. There is no doubt that the long tail of installers will have an important role in making this model succeed. U.S. residential customers spend $570 billion every year on energy and fuel. 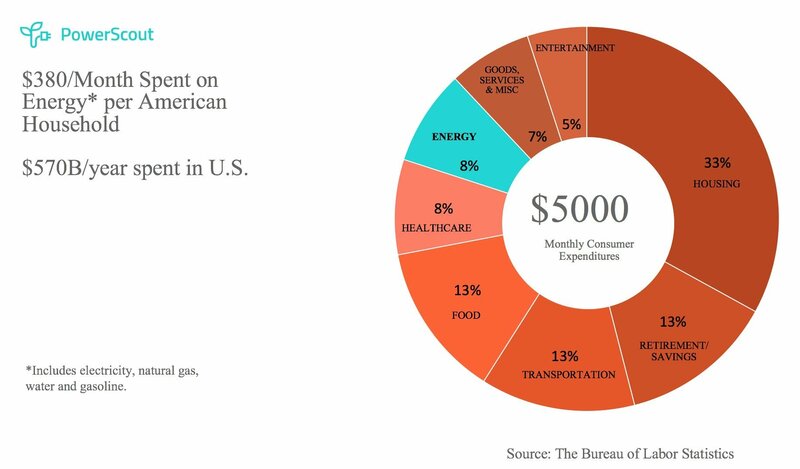 That is $380 per month per U.S. household, or 8 percent of the average consumer’s budget -- similar to healthcare and more than purchased goods and entertainment. Multiple brands will play a leadership role. The key will be a data-driven understanding of consumers and managing a fulfillment network. It is easy to imagine a world 10 years from now where Tesla has the best advanced energy products and Amazon is the world’s largest energy services provider. In this world, 10,000 kilowatt-hours and 10,000 miles (think autonomous EVs) are ordered online as quickly and easily as laundry detergent -- all at a fraction of the cost that electric utilities could deliver. It all starts with a brand consumers trust, a lot of data to understand the consumer and their energy needs, and a high-quality distributed fulfillment network. What role will utilities play? Utilities need to be active participants in reframing the current regulatory context and work hard on drastically improving consumer engagement. Assets in the rate base can not be the sole optimization function. If they don't find new ways to work with customers, they may run the risk of becoming wire operators. Residential solar 2.0 will be about cutting-edge marketing at large scale delivered by a handful of trusted brands, enabling the long tail of local installers to do what they do best: deliver high-quality installations. This powerful partnership has the potential to make solar energy a mass-market product. Attila Toth is the founder and CEO of PowerScout, an AI-driven marketplace for smart home improvement.